Qualcomm Atheros AR5007EG Wireless Network Adapter is a Network Adapters hardware device. The Windows version of this driver was developed by Qualcomm Atheros Communications Inc.. The hardware id of this driver is PCI/VEN_168C&DEV_001C&SUBSYS_E00D105B; this string has to match your hardware. 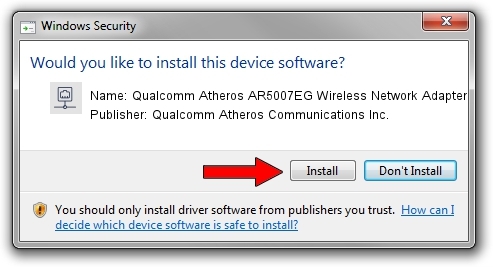 Download the driver setup file for Qualcomm Atheros Communications Inc. Qualcomm Atheros AR5007EG Wireless Network Adapter driver from the location below. 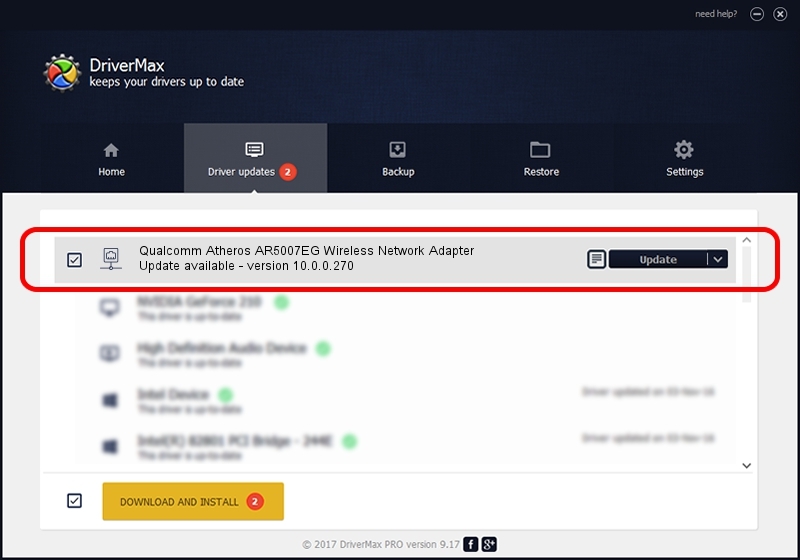 This download link is for the driver version 10.0.0.270 released on 2013-11-28. This driver was rated with an average of 3.4 stars by 28354 users.